A fine example of elegance and sophistication! 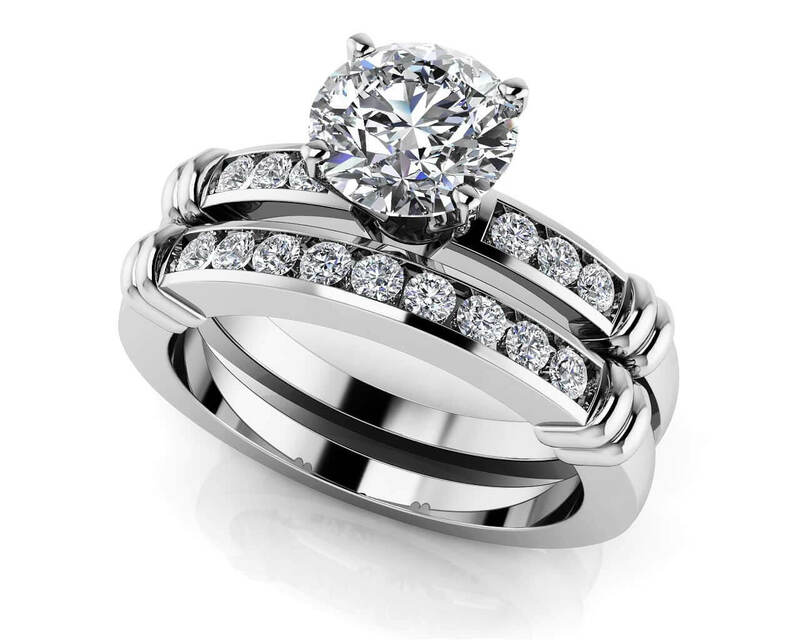 This band houses 9 lovely round, prong-set diamonds. They sit side by side, and appear to float inside a channel crafted in gold or platinum. On either side, there’s a lovely wrap detail. 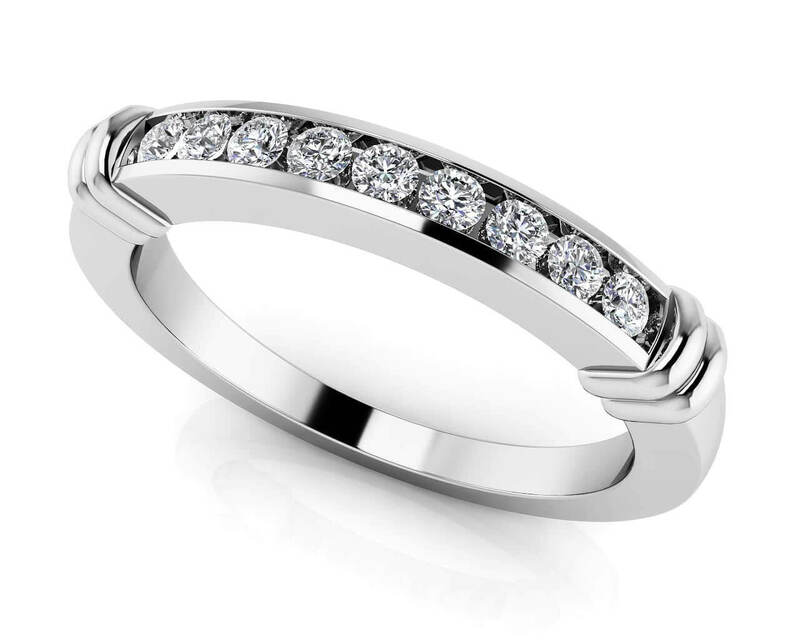 This band would be a great anniversary band, or works brilliantly with our Channel Belt Engagement Ring. An incredible piece – truly timeless elegance! 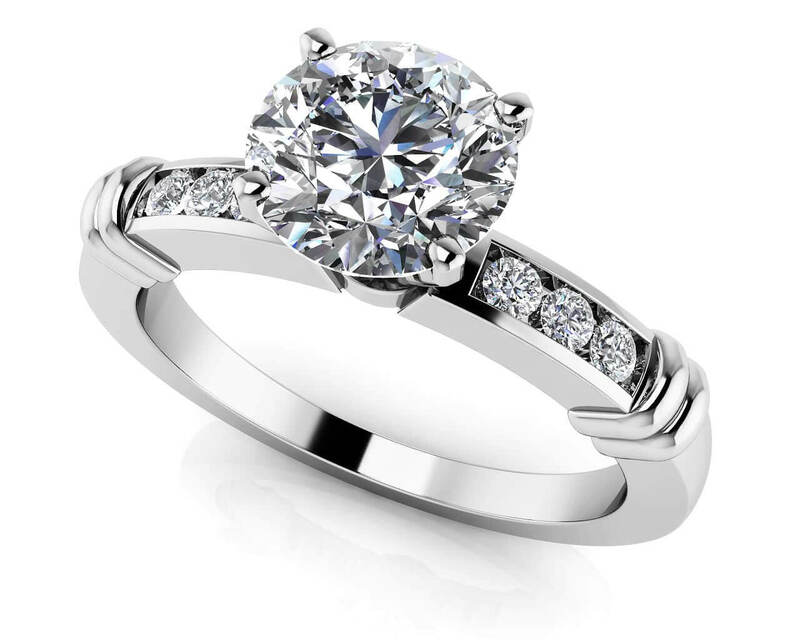 Model Carat Weight: 0.18 ct. Effective Carat Weight: 0.18 ct.
Stone Carat Weight: 9X.020 ct.